Every year, JFE Engineering accepts 20 or so interns from abroad. During the five-week program, the students learn about the company’s infrastructure and other businesses, the engineering industry as well as Japanese lifestyles and culture. Three companies mining gold at Moehti Moemi in Yamethin township, Mandalay, had their mining rights suspended after failing to pay almost 200 viss (326 kilograms) of gold to the government by the deadline, said U Ohn Win, Union Minister of Natural Resources and Environmental Conservation. According to the Association of Myanmar Garment Businesses, China has overtaken South Korea as the main investor in the clothing sector. Aung San Suu Kyi’s first major infrastructure project could hardly be more visible – hundreds of new yellow buses now plying the streets of Yangon in what her ruling party hopes will be a potent symbol of how it is transforming peoples’ lives. Ms Aung San Suu Kyi’s first major infrastructure project could hardly be more visible: Hundreds of new yellow buses now plying the streets of Yangon in what her ruling party hopes will be a potent symbol of how it is transforming peoples’ lives. Chin State apples had a poor yield this season due to inadequate planting practices, according to a report from Myanmar Alin Daily today. There are only 83 telecoms licence holders across the country and all mobile phone shops need to apply for a telecoms equipment licence, according to sector representatives. Ever since Myanmar began transitioning to civilian rule in 2011 and opening up its borders, investor money and advanced technology has been flooding in. One of the big changes accompanying this wave has been the spread of microfinance, or loan services designed to help low-income families start businesses. A school, which was affected by the Cyclone Komen in 2015 and reconstructed with the financial support of the Japanese government, was handed over to the local authorities in Htantabin yesterday. More than 1,900 tourists visited Myanmar through the Tachilek border gate from 1st July to 3rd August this fiscal. THE Myanmar SEZ Watch will repeat its request to meet the Myanmar Special Economic Zone (SEZ) Central Body and Central Working Body this month to discuss the government’s policies as well as current developments in the zones. The Mandalay City Development Committee (MCDC) Cleansing Department has invited open tender for cleaning materials the city would need next year. 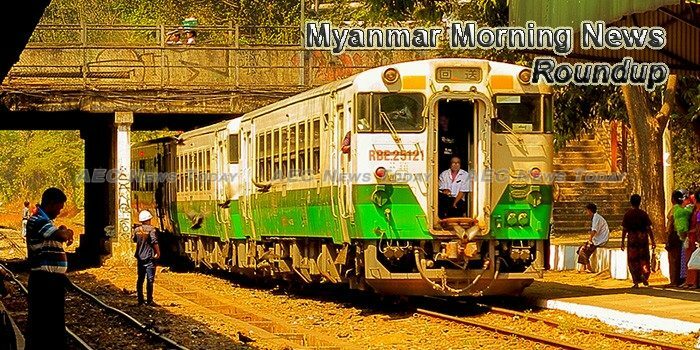 Myanmar is currently going through a lot of changes during the past few years; you will see all kinds of new businesses in every corner of the metropolitan Yangon city both from foreign investors and local young entrepreneurs. These rising entrepreneurs are full of creative ideas and,without doubt, are the future leaders of the country.